Traveling from event to event, city to city, invited to bookstores, conferences, universities, recovery centers and more, there has been much to be grateful for in the first five months since the release of The Wisdom of a Meaningful Life. The book tour has taken us from New York to California, to the westernmost bookstore in the United States and many states in between. The gift of reconnecting with old friends, developing new friendships, and such appreciation for the message of the book has been constant threads of every event and visit along the way. We want to extend a heartfelt thanks to each and every person who had a role in making each event a success and a gift. Book orders keep arriving from around the US and abroad, and have been also sent to prisons across the US. The Prison Library Project, hosted by the Way of Compassion Foundation, has set up a fund so that each donation allows a book to be sent to a prison library, offering inspiration and empowering tools for change. To learn more, see the Prison Library Project at http://wocompassion.org/prison-library-project/. Arriving from all over the United States, participants in the 2016 – 2017 MLP Teacher Certification program met at their first retreat to begin their year-long journey. 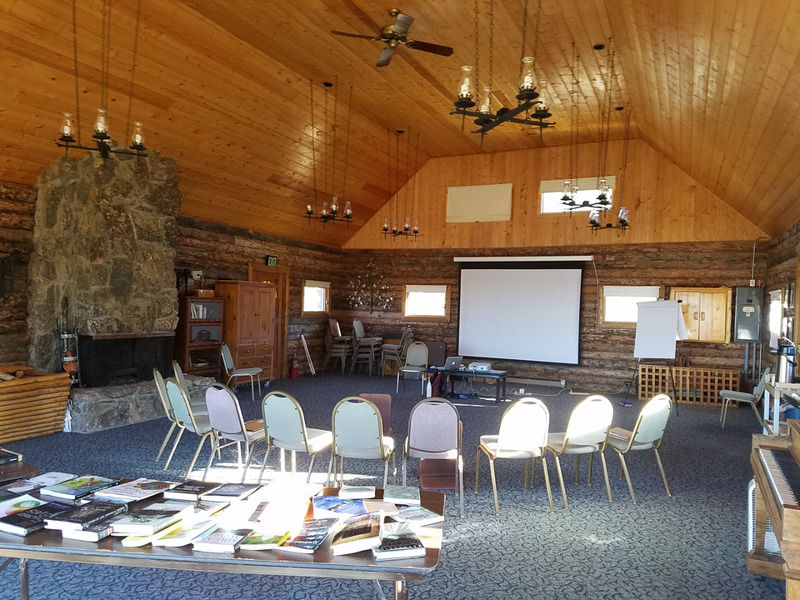 Along with instructors Mark Molony traveling from Melbourne, and Laura Bartels and John Bruna from Colorado, coming together in retreat serves to create a close knit learning community for the year of training. During this first retreat, the intention is to deepen personal practice and experience the MLP curriculum in depth. Mornings are spent in silence and afternoon and evening sessions allow for teaching, dialogue and reflection. Through learning and sharing together, the group planted seeds of deep friendship, growth and strong intentions for the year. We are delighted to get to know each of these dedicated participants, who truly show such wonder, curiosity and virtuous intention at becoming MLP mindfulness teachers. We look forward to seeing each member of the group both deepen their own mindfulness practice and prepare to bring an integrated approach to transforming lives with mindfulness.Inspired by the experience of the retreat, Dusty Sylvanson shared this expression of his experience. A former high school student of John’s, Clifton Johnson, recently wrote “I went from a kid in Mr. Bruna’s class learning about how to break the societal chains that bind me to interviewing him for a slot on our panel for TEDxCSULB 2017.” It’s a story of coming full circle, as Clifton also wrote of his attitude in life that, “I owe a large portion of that drive and motivation to this man.” John is honored and grateful to have been selected as a speaker for the event which is hosted by California State University at Long Beach on April 9th. The theme for this year’s event is “Threads Undone,” which John is excited to draw parallels with as he talks about the wisdom of a meaningful life. Tickets go on sale in January at http://tedxcsulb.com/.